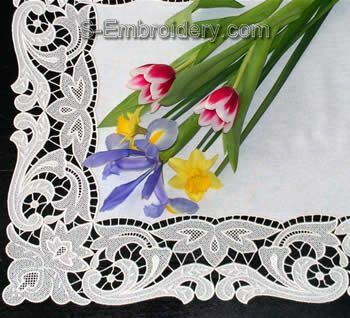 By stitching out additional pieces of some designs you can create a freestanding lace decorated rectangular or square table cloth with a size of your choice. 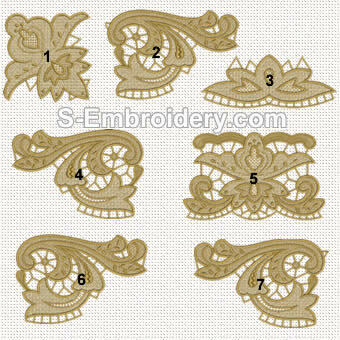 All designs will fit in a 5x7 (130 x 180 mm) hoop. 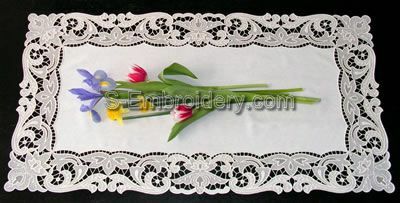 Our delivery includes instructions for creating the table runner, featured on this page, as well as information on the free standing lace embroidery designs in the set.The instructions are also available on line in our Machine Embroidery Tutorials section.